Make your drawings more realistic with materials. With this Extension you’ll get carpets, tiles, walls and wood textures that you can use to improve your renderings. 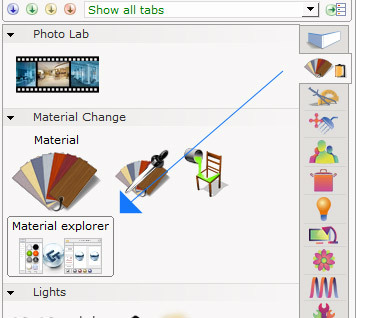 You’ll find the new materials in the Material explorer, as seen below. After downloading the materials you can place them on your drawing in the same kind of way as you’ve done with other material.